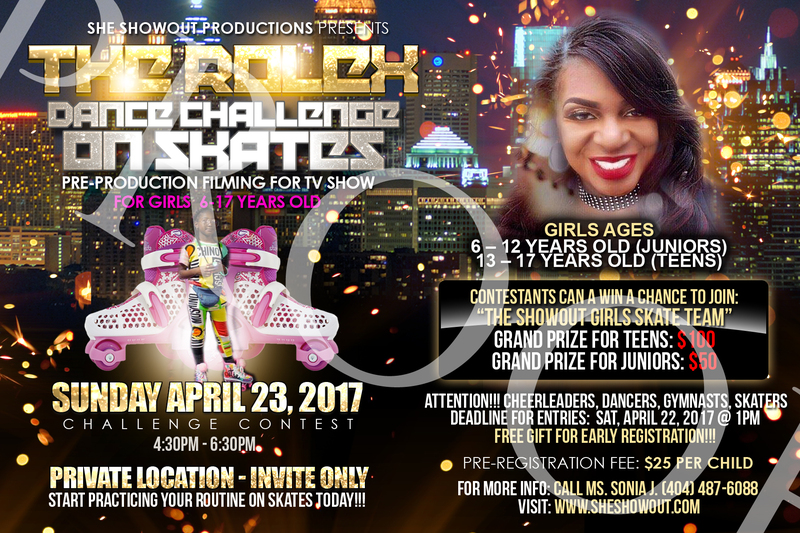 This Sunday Apr 2nd She ShowOut Productions is having a free Skate Practice Session (training) for the upcoming Rolex Dance on Skates Challenge. Parents can contact Ms. Sonia J at 404-487-6088 if their girls are interested. Ages 6-17 & just added 18-20 year olds. The big contest will be held on April 23rd. Only 5 girls will be selected and their names must be on my list. Parents can attend for free w/child. Call me for more info.